When King Ashurbanipal built his library at Nineveh, pre-flood literature was held in low esteem so the king did not allot precious time and material making copies. What has been preserved and recovered are somewhat ragged legends pieced together with words inserted sometimes where they look like they belong. Still, the preponderance of material collected over the years is more than sufficient to document a flood episode paralleling the Genesis account. Obviously, the length of rule is suspect. The reign of all the pre-flood kings, recorded in Sumerian measure, runs into thousands of years. Using a sexagesimal system, the years recorded for the ten kings ending with Ziusudra were in multiples of 60 or 60 squared. Probably there is something we do not understand about how they recorded years, but suffice it to say the Sumerians believed these kings ruled for long periods and must have lived many years. When the kingship was lowered from heaven The kingship was in Kish. Ziusudra, beside it, stood and hearkened. At the same time the deluge swept over the places of worship. Utu came forth, he who sheds light over heaven and earth. Utu, the hero, cast his beams into the interior of the giant boat. Ziusudra, the king, fell on his face before Utu. The king kills an ox, slaughters a sheep. It cannot be ignored that the extra-biblical versions parallel the biblical version to varying degrees. Details differ, but a common thread can be seen that suggests a common source. God was (or, in the extra-biblical versions, the gods were) displeased with the state of humanity. A man and his family were singled out. That man was warned of an impending flood; the man built a boat and loaded it with animals and birds. They rode out the storm and came to rest in a hilly or mountainous region. Birds were released and a sacrifice or libation was offered. In the end, God (or the gods) smelled "the sweet savor." Attempts to write off the Mesopotamian flood stories as erroneous mythology, or merely pagan lore, are unjustified. For one thing, we have the flood layers themselves. Many of the cities named in stories about the flood have been excavated to reveal the actual clay layers between remnants of ancient populations. Furthermore, the layers at Kish, Shuruppak, Uruk, Lagash, and the higher layer at Ur, all date to roughly the same period, 2900 BC. From the evidence, we can infer that all the flood stories, both biblical and extra-biblical, were predicated on an event. 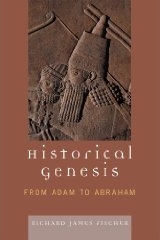 Many historians believe the Hebrew version in Genesis was derived from pagan mythology. This belief is unfounded. What should be seen quite easily is that the Genesis narrative of the flood, as well as the parallel epic myths, are all based upon one spectacular historic event.